HomePlaythroughPlaythrough: “Recreant” from Chelsea Grin! Playthrough: “Recreant” from Chelsea Grin! 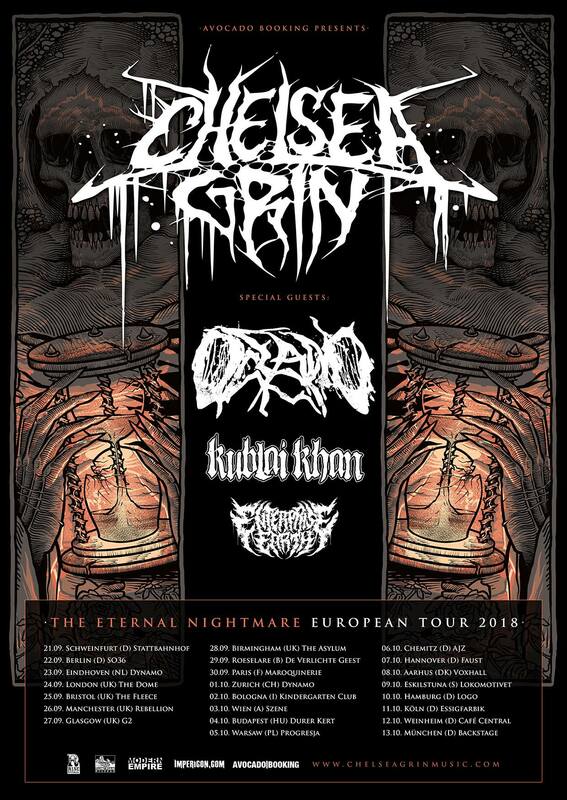 Chelsea Grin, Oceano, Kublai Khan & Enterprise Earth will be upon our shores in September for a run of 5 dates together. Here’s sticksman Pablo Viveros performing “Recreant” at the Vans Warped Tour in San Diego, California, caught on Drum Cam! Their new album “Eternal Nightmare” will see release on 13th July via Rise Records and will mark their first with former Lorna Shore frontman Tom Barber.